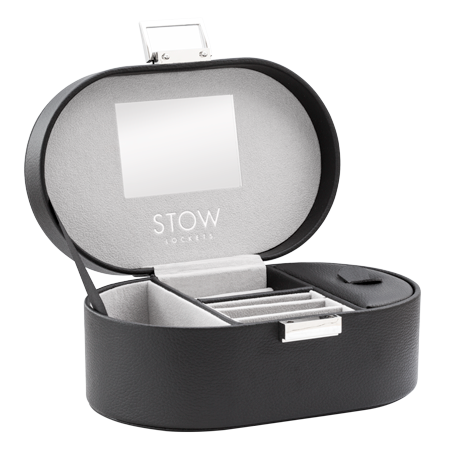 Receive a free Stow Jewellery box worth $99 with any Stow purchase of $250 or more. Petite tweezers for adding charms to your Stow locket. This offer is available during store opening hours from 11th April 2019 – 12th May 2019. Not available with any other offers, layby or special orders unless completed and paid in full during the promotional period. Subject to availability and for a limited time only. Item or packaging may differ to image. Limited to one per customer per transaction. Item is not available for resale. Receipt of a promotional item by a consumer constitutes acceptance of these terms and conditions. As a participating stockist John Franich Jewellers agrees to abide by these terms and conditions.